The most comfortable knife EVER! This lightweight, ergonomically-shaped handle fits in your hand perfectly. With a large finger stop and soft grip to prevent any slipping. The blade is ultra sharp made from high quality Japanese steel. Perfect for carving even slices. 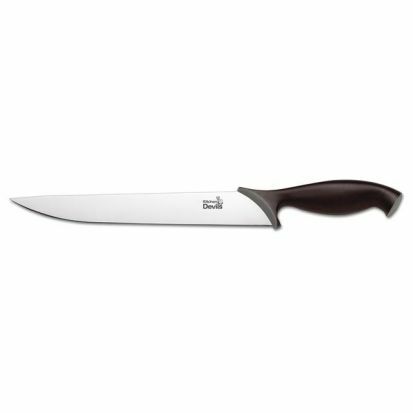 The kitchen devil control knives are guaranteed for 15 years, giving you peace of mind. Dishwasher safe but remember it is best to remove as soon as you can and dry carefully to get your knives in the best condition.